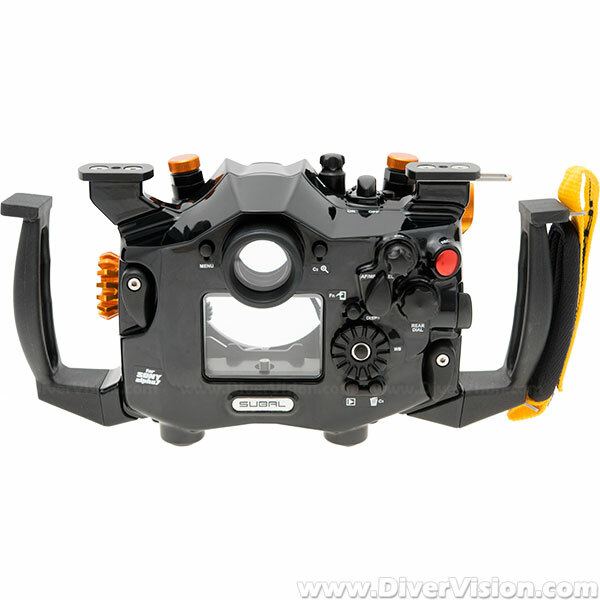 The Alpha 7 housing provides access to all the functions of the Sony Alpha 7 s / r including Live View and Info. The ergonomic SUBAL housing design and arrangement of all the key controls allows easy camera operation without letting go of the grip. 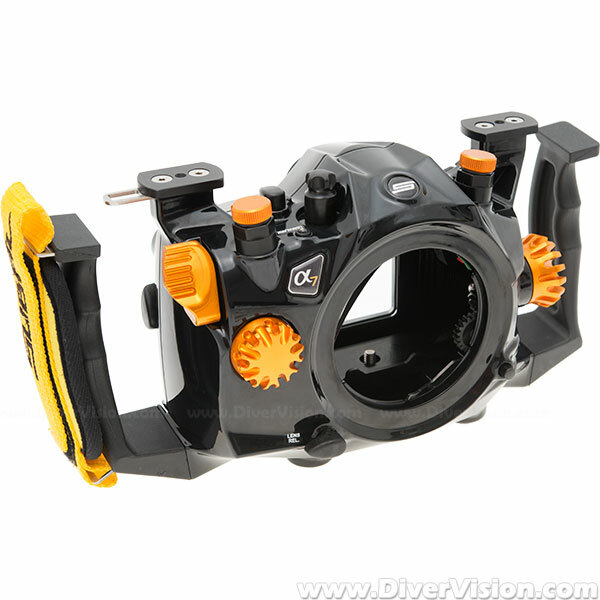 The camera is fitted on a special cradle which enables a precise and faster, more secure mounting. A 4mm O-ring and the SUBAL Quick-Lock closure system prevents accidental crushing of the O-ring and ensures maximum safety. Threaded holes at the base allow the attachment of a tray. Focusing lights can be attached or mounted to the top shoe. The monitor window provides a glare-free and high-contrast view of the camera monitor. Material selection, processing, surface protection and finish conform to the usual high-quality that is common to all SUBAL products. 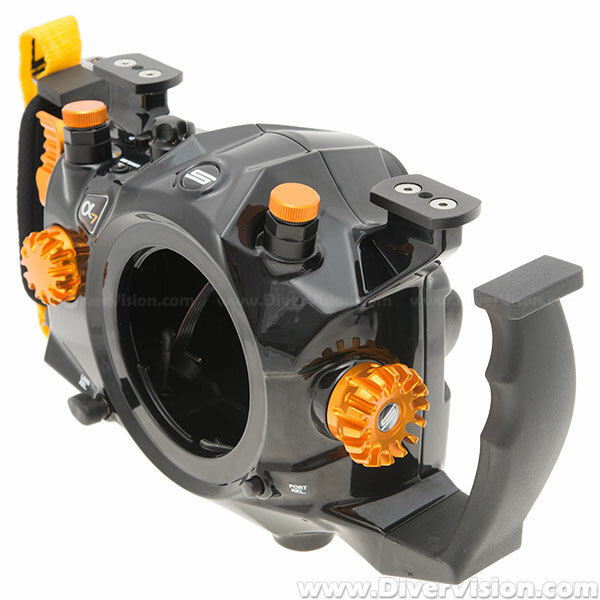 SUBAL offers for this housing model 2 different viewfinder systems: the slim standard viewfinder reduces the viewfinder image so that it can seen fully despite wearing a dive mask. The 45° viewfinder provide an image approximately corresponding in size to the camera's viewfinder in a 45° angle.